Tae’ejah Skye Dorward is now a rising star in the baby modelling world, born on the Central Coast of Australia she was six-months-old when she started to model and was signed to a baby modelling agency. She has modelled with various companies and been featured in magazines and online stores wearing Dollcake, Baby Gap, Guess and Bao Bab, and is on on several clothing websites and magazines. The 18-month-old has now been selected from 10,000 other baby models to represent the Paul Frank Dream Team after Kristen entered Tae’ejah in to an online competition. The Dream Team is made up of six children across three different age groups. Tae’ejah, from Old Bar, has been picked to represent the 0-2 age group. 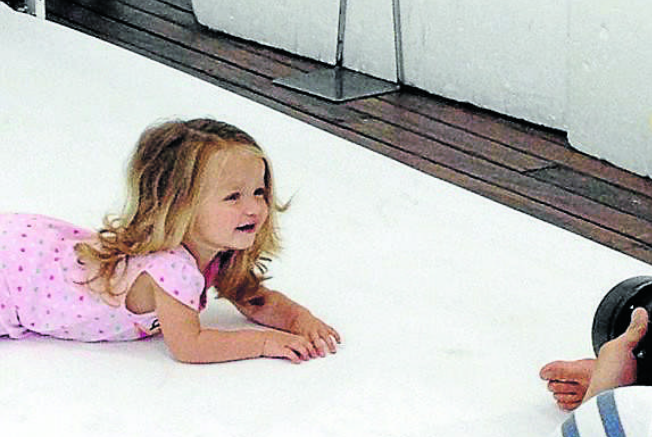 The toddler and her mother Kristen were flown to Sydney for a two-day shoot with Big W and Pacific Magazines. Kristen said the first day didn’t go very well as they were weary from the plane trip but the second day went much better! “It was amazing. They put on Giggle and Hoot music and she had fun,” said Kristen. In late October she will appear in ads and catalogues nationwide, seen in all Big W stores across Australia and New Zealand, featured in Big W’s meet the winners page, and printed in several magazines, over the next 12 months. This entry was posted in Babies, Children, Uncategorized and tagged babies modeling, baby catalogue modelling uk, baby model, baby model agencies, baby model competitions, baby modeling, baby modeling agencies, baby modelling, baby modelling star, baby models, baby models for next catalogue, baby models needed, become a baby model, free baby modeling, model baby, modeling for babies, modelling agency for babys, Talent Management, talent management babies, talent management baby, talent management baby models, talent management review, talent management reviews, talent managemnet baby modelling. Bookmark the permalink.